The basic average Land Rover service for a 6 cylinder diesel costs somewhere between $350 and $380. It varies depending on which model you drive. We check everything in your car and make sure it is safe to drive for yourself and others. We offer extras such as wiper blades, air cleaners and cabin filters. These are all charged separate from your standard service. Ask us about the cost for extras next time you bring in the vehicle. Land Rovers with V8 engines cost more to service since they hold more engine oil. The price of our Land Rover or Range Rover standard service cover all essential checks. Often parts don’t need to be replaces and we will leave them until the next service. The only thing we are stickler for is the fuel filter. If the logbook says change the fuel filter change, we will change it. Book your service online. The cost of repairs are always explained to you before we go ahead and fix it. We work on a supply and demand system for repairs. If you vehicle needs something changed, we will change it. If it is fine, we will not have it changed. 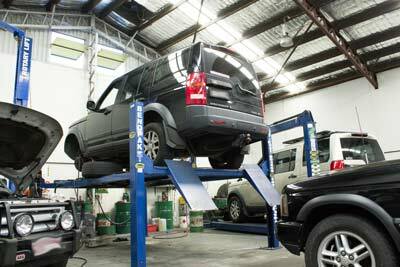 Your Land Rover or Range Rover repair cost can be minimised by bringing the vehicle in for regular service. Read more about Land Rover Service. Our aim is to save you money at the same time maintain safety and quality. E.g. if your brakes fail the test, we will try to save you money by looking at machining the disc rotors rather than replacing brake pads. Disc rotors have a legal minimum thickness and if they come in over, we machine the discs and put the brake pads back in and you are ready to go. If the discs come in under the minimum, thickness, we put in new disc rotors instead of machining them.